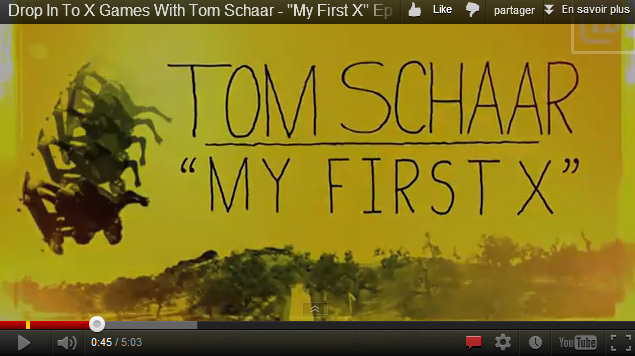 In the final episode of "My First X," skateboarder Tom Schaar finally gets his chance to drop in amongst his heroes at X Games. Pitted against the likes of PLG and Bucky Lasek in Vert, and Bob Burnquist in Big Air, the 12-year-old holds his own by qualifying for the final in both events. Schaar's X Games experience results in a 7th place in Vert and a 6th in Big Air, but his performance makes clear that this is just the very first step in promises to be a legend in the making.